Random House Books for Young Readers, 9781524770419, 240pp. When you're a Buttman, the label "bully" comes with the territory, and Bernice lives up to her name. But life as a bully is lonely, and if there's one thing Bernice really wants (even more than becoming a Hollywood stuntwoman), it's a true friend. After her mom skedaddles and leaves her in a new town with her aunt (who is also a real live nun), Bernice decides to mend her ways and become a model citizen. If her plan works, she just might be able to get herself to Hollywood Hills Stunt Camp! But it's hard to be kind when no one shows you kindness, so a few cheesy pranks may still be up her sleeve. . . .
Get ready to laugh out loud--and maybe even shed a tear--with this fantastic new middle-grade voice! Niki Lenz lives in Kansas City, Missouri, with her husband and children. She studied elementary education at Southwest Baptist University and taught kindergarten for six years. She enjoys reading, travel, glamping, polka dots, red lipstick, and oldies music. 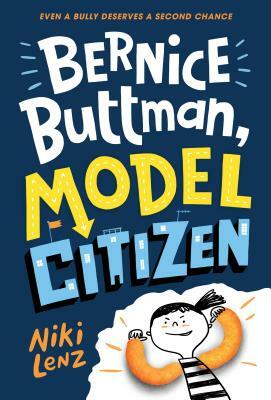 Bernice Buttman, Model Citizen is her first novel. Follow her on Twitter at @NikiRLenz or visit nikilenz.com.